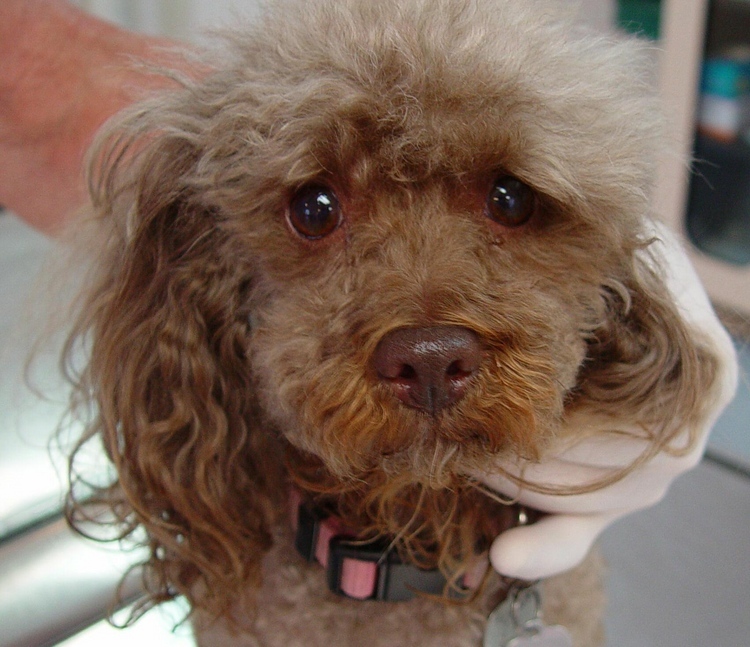 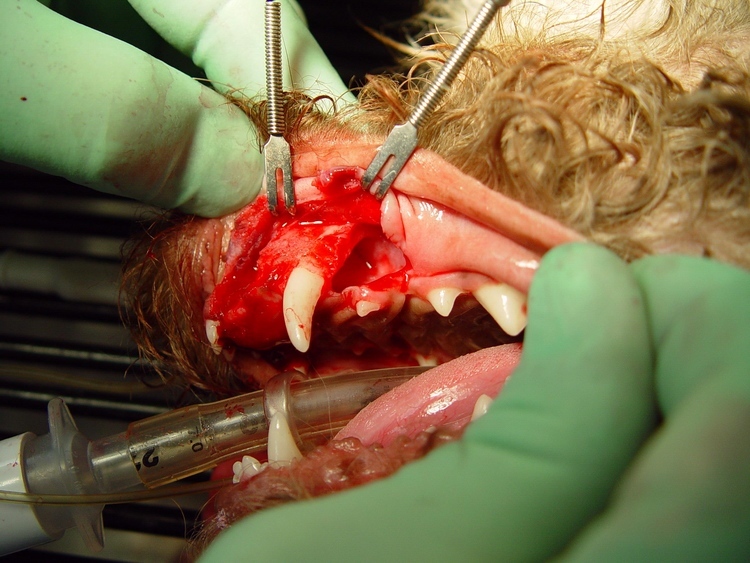 O ral cysts are not uncommon in dogs. 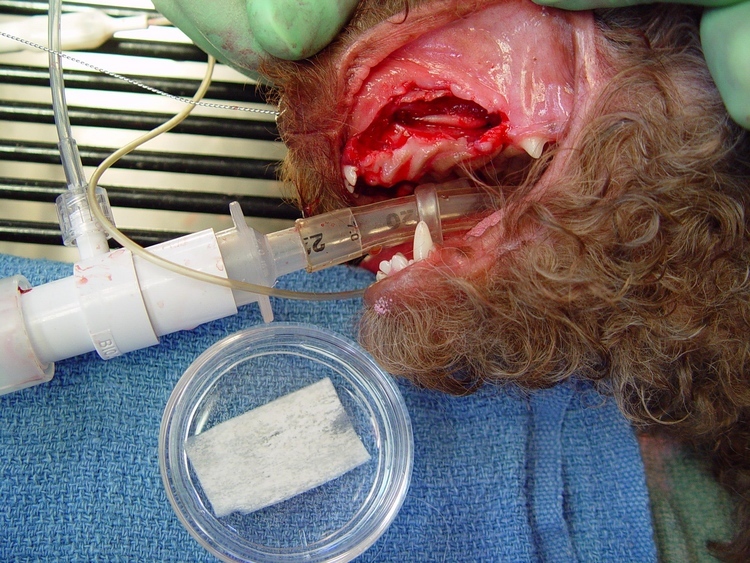 Many of these cysts are benign and may cause significant amounts of bone and soft tissue destruction. 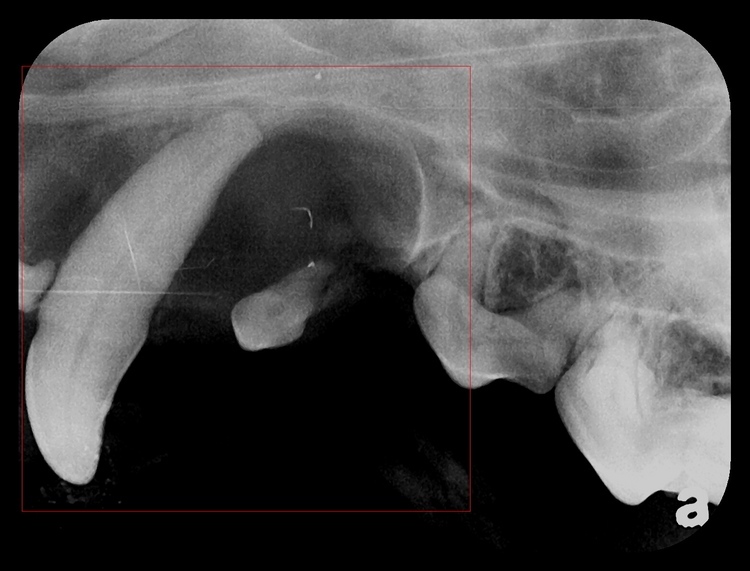 D entigerous are the most common type of oral cysts we treat at this practice. 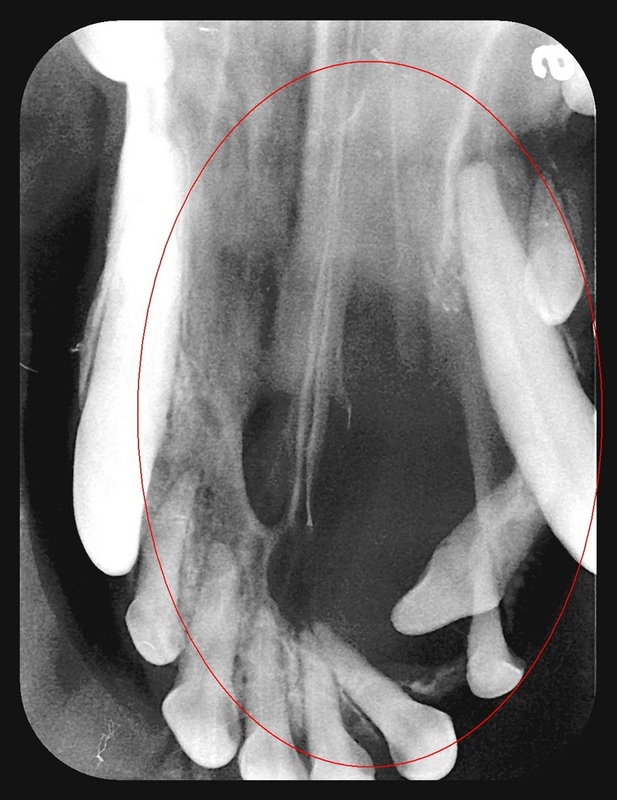 Usually an impacted or embedded tooth/teeth that have failed to erupt are the cause. 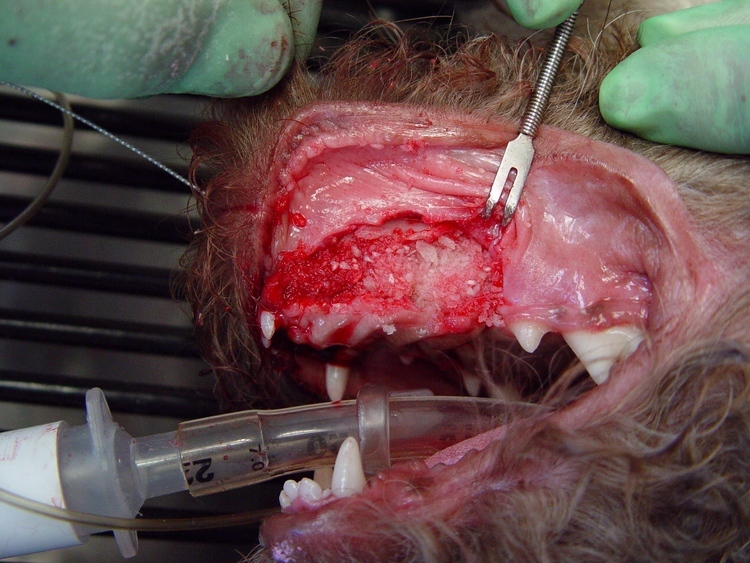 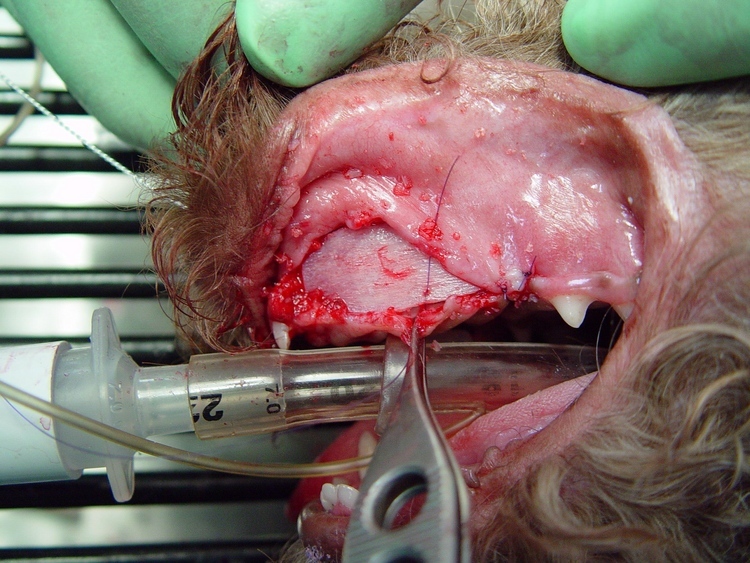 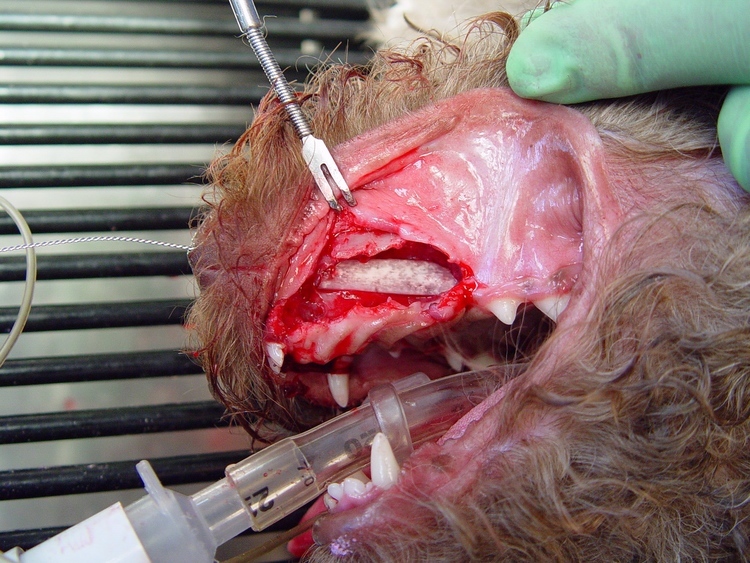 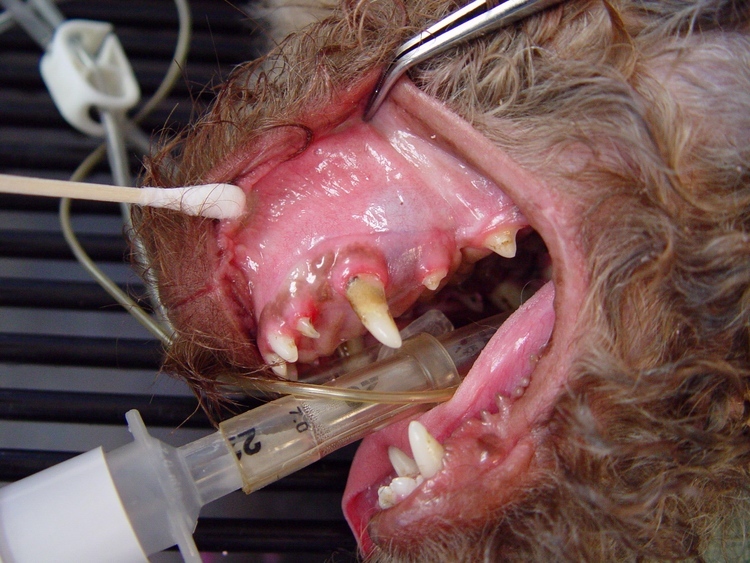 T he patient was examined for a painful swelling in the left maxillary area that appeared to be fluid filled. 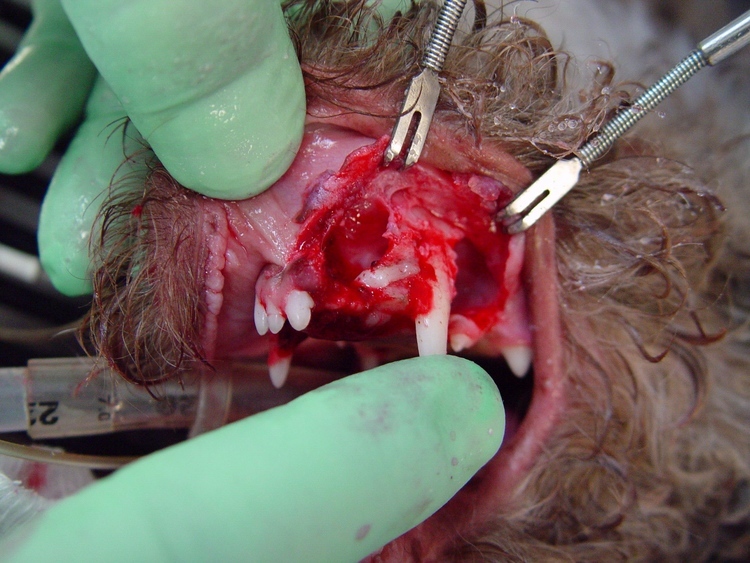 A fter the dental images and examination was completed the tentative diagnosis of dentigerous was made. 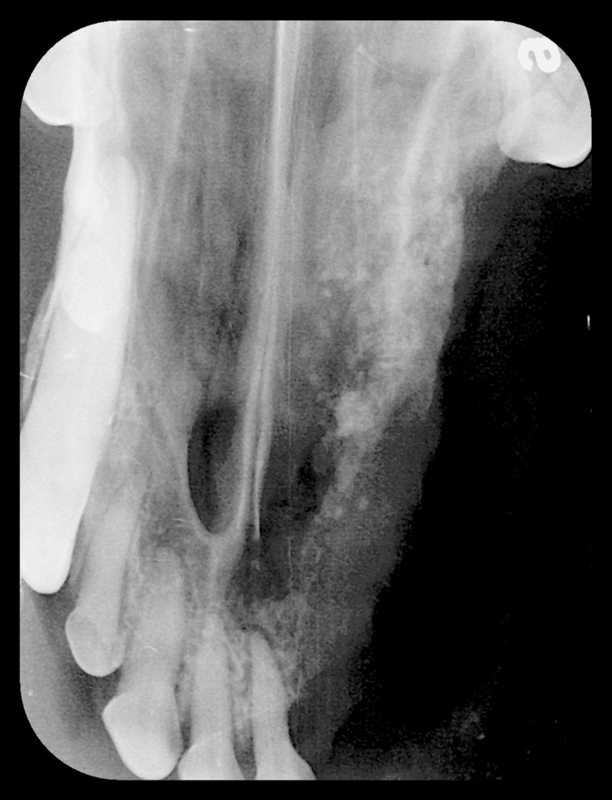 S urgical intervention was discussed and was scheduled and completed at the same time.